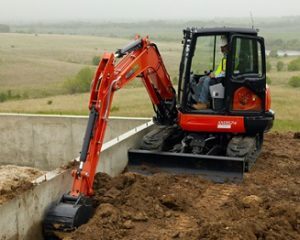 Kubota manufacturers and sells some of the most dependable compact construction equipment on the planet. However, even with the best machine, sometimes things can go wrong. At Coleman Equipment we understand the demands of our construction customers, and how much it costs to be down for even a minute. Because of this we have a huge inventory of Kubota Construction Equipment parts on the shelf ready to get you back to work. Please browse the most frequently used parts for your model from the list below, search by part number using the search function, or just give one of our parts specialists a call. We are here to get you back to work.